When I Saw You is an important film. Well-made and times very beautiful, it is perhaps a film that surprises in what it achieves. 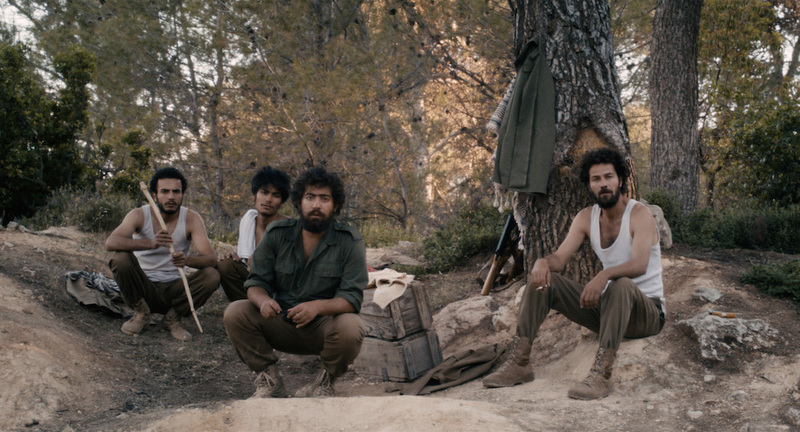 Significantly, it is one of the first Palestinian films to be made almost entirely with Arab money and to receive critical acclaim and commercial distribution within the Arab world. It deals with issues of identity and the experience of expulsion from home and exile as refugees. From the perspective of contemporary audiences outside the Arab world, the story may seem slight in terms of ‘events’ even if it is rich in observations (a problem evident in Philip Kemp’s Sight and Sound review, July 2014). In some ways it is a ‘personal story’ even though the events take place in 1967 and the filmmaker Annemarie Jacir was not born until 1974. As she has said in interviews, the Naksa (the ‘set-back’) – the exodus of Palestinians forced out of the West Bank by the Israeli occupation following the Six Day War in 1967 – had a major impact on the Jacir family who were forced to leave Bethlehem. Annemarie Jacir grew up travelling between Bethlehem (where she was born) and the new family home in exile in Saudi Arabia before training as a filmmaker in the US. Having spent much of the early part of her filmmaking career in the Occupied Territories she is now barred from returning and she has settled in Jordan where When I Saw You is set and where it was shot. The central character is 11 year-old Tarek who after a few weeks in a Jordanian refugee camp is still bewildered by events. His mother Ghaydaa is working in a makeshift garment workshop but his father has gone missing during the war and Tarek wonders how the family will be re-united. He’s taken aback to discover that many of the refugees have been in the camp since 1948 and he’s unhappy at the camp school where he doesn’t fit in. He’s determined to return to his Palestinian village and eventually simply sets off walking. Fortunately he’s found by someone who recognises him and he ends up in a secret camp of freedom fighters (fedayeen) preparing for forays into the Occupied Territories. The second half of the narrative concerns what happens in the training camp – where Tarek at first feels much more comfortable – and where his mother will eventually find him. The fedayeen in the woods. Layth (Saleh Bakri) is on the right. The time period of the film is very important. The late 1960s was a time of savage conflict but also considerable optimism. The fighters in the camp (never identified as a specific political faction) are drawn from many Arab countries. There are female fighters and the group is mainly secular, drawing on Marxist philosophies rather than religious faith. The weapons and supplies come from around the world, including Europe, China and the Soviet Union. In interviews Jacir admits that there is a romanticism in this representation but that this was true to a certain extent. She researched life in the training camps – which was widely recorded on film and in print journalism – and she does also hint at the tensions and conflicts within the group. Some of the scenes are conventional and familiar from various genre films. The guerilla fighter is a ‘rebel’ figure beloved of Hollywood and I was reminded of Westerns like Butch Cassidy and the Sundance Kid with musical interludes and dancing around the camp fires. Tarek will learn to play a few notes on the oud and to develop skills in painting propaganda posters. But Tarek is not ‘political’, he just wants to go home and we see things from his perspective. He left the refugee camp because he couldn’t understand the concept of just ‘waiting’ for his father to to find his wife and son. The fighters are not necessarily glamorous because they handle weapons. They are attractive because they have an objective and because they work together. Tarek can play a role. Perhaps the key point is that Tarek seems much more likely to accept the group leader’s instruction to be patient and disciplined than he was to listen to his teacher in the refugee camp. But he is 11 years-old. How patient can he be? I think I’ve worked out what the title of the film might refer to but since my explanation would give away the film’s resolution, I’ll restrain from giving it here. What I will say is that I think it refers to recognition of the pain of exile. For Jacir herself being in Jordan but not being allowed to cross the Jordan river back into Palestine must be painful. Inevitably, as Jacir toured film festivals she was asked questions in which she was bracketed with other recent Arab directors who happen to be women such as Nadine Labaki (Caramel, Where Do We Go Now?) and Haifaa al-Mansour (Wadjda). She has also been asked about comparisons to the already-established Samira Makhmalbaf, who is Iranian and not an Arab. However, she clearly does admire Iranian cinema and I think Blincoe makes a good observation. Tarek is played by Mahmoud Asfa, a non-professional who Jacir found in Irbid refugee camp after a lengthy search for the right boy. She chose him because he really seemed to have the same viewpoint as Tarek. He is excellent in the role and so are the other actors who are working in film for the first time even if they are experienced performers on stage or street theatre. (The two screen actors known to local audiences, Ruba Blal and Saleh Bakri are also excellent.) With her documentary experience and research Jacir is grounded in ideas about realism but she has enough of the imagination required to approach important issues in slightly oblique ways as many Iranian filmmakers have been forced to do. She has also expressed admiration for her mentor on the Rolex ‘Mentors and Protégés’ scheme – Zhang Yimou, the Chinese master who has made his own Iranian-influenced films such as The Long Road Home (China 1999). She was mentored during 2010-11 when she was working on When I Saw You. When I Saw You offers many pleasures including an eclectic music soundtrack and a song performed by Ruba Shamshoum, a young Palestinian singer who was cast as one of the freedom fighters. (In this interesting review on The Electronic Intifada, Sarah Irving pinpoints how cleverly the music is used and how various bits of the popular history of the time are incorporated in the script.) In Europe and North America the film may be seen as an example of ‘specialised cinema’ likely to be seen in an arthouse cinema but Annemarie Jacir and her producer partner Ossama Bawardi worked hard to get the film shown in Palestinian villages as well as commercial cinemas in Jordan. 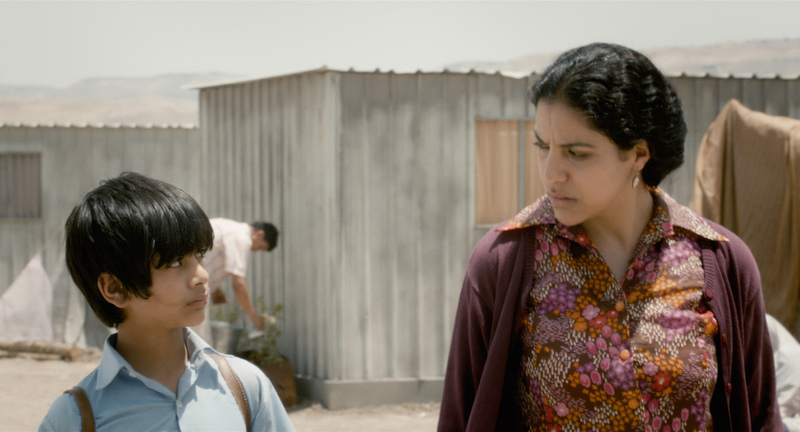 Jacir sees the film as targeting mothers and children. Palestinian cinema is featured as a case study in Chapter 6 ‘Middle East Without Borders’ in the Global Film Book.